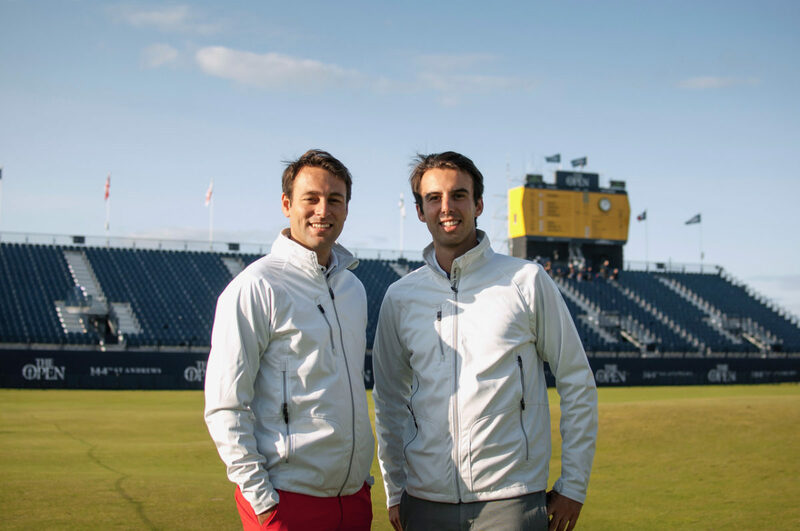 Two national golf champions have turned their passion for the game into a thriving business after creating All Square, a social network entirely dedicated to the little white ball. Formed in 2013 at Technoport in Belval, the company has since crossed the Atlantic Ocean to conquer the American market and looks destined for ever greater things in the year ahead. Luxembourg national golf champion Patrick Rahme certainly knows how to seize an opportunity. After meeting former Swiss national champion Arthur de Rivoire while studying at HEC Lausanne the pair decided to harness their passion for the game to create a pioneering social media platform. Together, they launched All Square in January 2013, an ambitious and multi-functional platform that is devoted to all things golf. “All Square is often described as the Facebook and TripAdvisor of the golfing world,” Rahme explains. 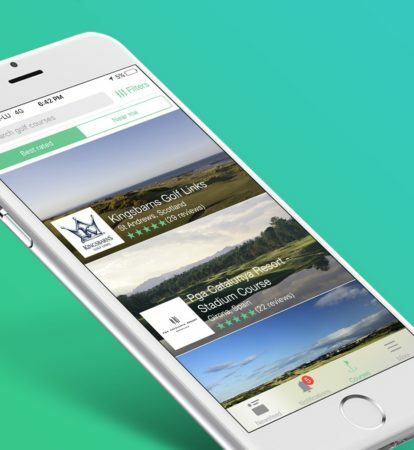 Before launching the app, the concept was presented to golf professionals at the KPMG Golf Business Forum held at Scotland’s prestigious St. Andrews Golf Club. From there the pair travelled to the global hub of technologically innovation, Silicon Valley, where they spent three months refining and developing their idea at start-up accelerator Plug and Play Tech Centre. In addition to the traditional sharing of status updates, comments and photos, the final version of the All Square app enables users to gain access to all the latest news from the golfing world as well as information on courses, clubs, and brands. Available to both clubs and individual players, All Square is loaded with various tools that enable groups to manage their own player communities regardless of whether they are active members or just visitors. The ever-expanding community currently incorporates over 33,000 golf courses worldwide and brings together over 85,000 golfers. The All Square business model is based on three specific revenue streams. Firstly, the selling of marketing services and online tools to golf clubs who wish to engage with more golfers to drive incremental revenue. Second, the sale of travel packages to the best golfing destinations and direct bookings of green fees for individual golfers or groups and finally, advertising and sponsorship packages to companies that wish to associate their brand with the game of golf. Plans to offer users a ‘premium’ subscription service is also in the pipeline. The company, which is currently hosted at the Technoport incubator in Belval, reports that it has tripled its turnover between 2015 and 2016 and quadrupled it between 2016 and 2017. “The community aspect of golf is particularly important, and the idea of using digitalisation to extend these ties seemed like an obvious one to pursue,” Rahme explains. Luxembourg stood out as an excellent choice when it came to establish and develop the company. “The country’s international dimension and the quality of life on offer are both very appealing, and what’s more, we have a stable economy here and a proactive government that supports innovative companies,” the co-founder continued. All Square’s international aspirations, however, vastly exceed the borders of the Grand-Duchy. The startup has been operating an office in Florida for the past year and has its sights firmly set on conquering the 26.5 million golfers (compared to 5.5 million in Europe) and 16,000 courses in the American market.